The Color imageRUNNER C1030 model is a full-color digital multifunctional solution that can be placed on both the desktop and in small spaces as a stand alone solution for exceptional quality and performance. This model operates at up to 30 ppm (letter) for black-and-white and up to 22 ppm (letter) for brilliant color output. Bluedogink.com is a leading provider of printer, printer supplies, office and paper products. 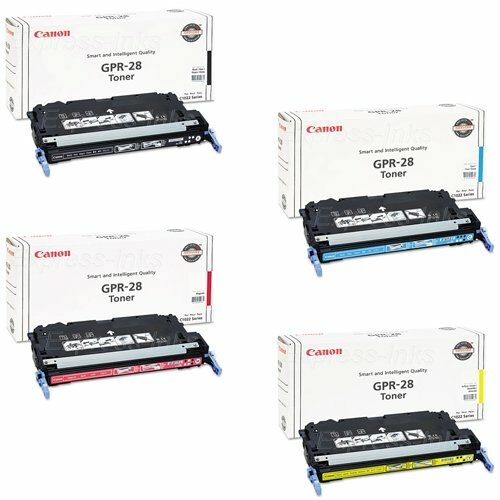 Our wholesale price on Canon imageRUNNER C1030 Supplies is part of our commitment to provide consumers with the lowest discount price available. Our customers are very important to us. We cater to many industries including military, government, schools, educational, medical, corporate, healthcare, legal, accounting, finance and many more. So, act now and buy Canon imageRUNNER C1030 Supplies at our low price.